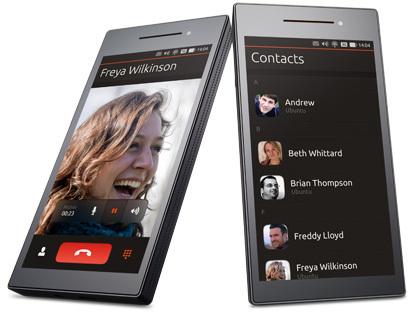 Ubuntu comes to phones with the specific needs of network operators, OEMs and ODMs in mind. It offers great performance on handsets with a low bill of materials, while opening up new opportunities for phone and PC convergence at the top end of the market. And there are many ways in which the user experience can be tailored to your brand. Ubuntu is an open source operating system, which means our code is shared openly throughout the development cycle. We are transparent about our plans for future releases, so as a developer, carrier or manufacturer you can start building apps and phone designs for Ubuntu immediately. We’ve built Ubuntu to include operator and OEM content, services and branding. Industry can place logos and specify colours on the expansive greeter screen, pre-install featured apps on the launcher, or create Scopes, all with Canonical’s help if needed. Carriers specify the scopes their devices ship. So they can add useful scopes to deliver their own or partner services like local wireless, or city information. New scopes are easy for industry to develop and publish, and can be built around campaigns or sponsorship tie-ins — with enough real-estate for brand partners. And default scopes like music and video can return prioritised content in search results with connected back-end services like billing, so the user won’t ever feel overwhelmed. It’s customisation in a way users will appreciate. Ubuntu provides a fast and beautiful experience on inexpensive hardware. It doesn’t have the overhead of a Java virtual machine, so all core applications run at full native speeds with a small memory footprint. Our traditional consumer users can enjoy a blisteringly fast experience on their mid-range phones. Smart search scopes and intelligent filtering makes it easy to access a huge range of content. 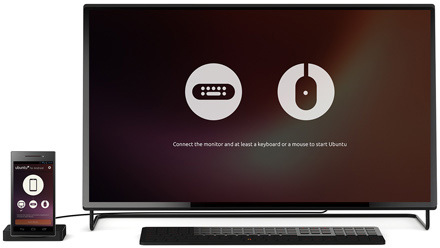 And at the high end, Ubuntu paves the way for a new category of superphones, with a full PC desktop accessible just by docking the device to a monitor and keyboard. A handheld PC is the future of personal computing — true convergence. We have teams based in Taipei, Shanghai, London, Beijing and Boston to engage with your engineering and factory operations - and their sole focus is to deliver a crisp Ubuntu experience on your device. Ubuntu has already been adapted to run on chipsets using ARM and Intel x86 architectures, with the core system based around a typical Android Board Support Package (BSP). So chipset vendors and hardware manufacturers don’t need to invest in or maintain new hardware support packages. In short, if you already make handsets that run Android, the work needed to adopt Ubuntu for smartphones will be trivial. Ubuntu is already used in over 70 countries and has been translated into over 40 languages. With 20 million desktop users around the world, it is both an established platform and an established global brand. Canonical is the global software vendor that provides commercial and design support to the Ubuntu project. Today, our hardware enablement team supports the pre-installation of Ubuntu on more than 10% of all new PCs shipped,worldwide.